Practice with clarity: 3M™ Clarity™ Ultra Self-Ligating Bracket system. 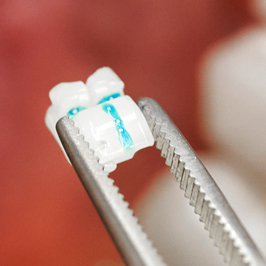 Get up-close and personal with the 3M science and innovation behind our fully-esthetic ceramic bracket system — 3M Clarity Ultra Self-Ligating Brackets. Discover how this system delivers the efficiency, versatility and reliability you need to produce precise outcomes. Complete the form to get email access to the 3M technical article.